Turn your iphone camera into DSLR: Apple products are kanown for its great quality whther software or hardware and simple UI. Although one don’t get that many options but still device is worth each penny. 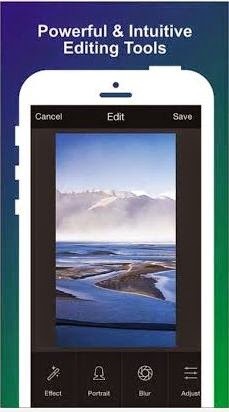 One of the feature commonly used by people in smart phone is camera. 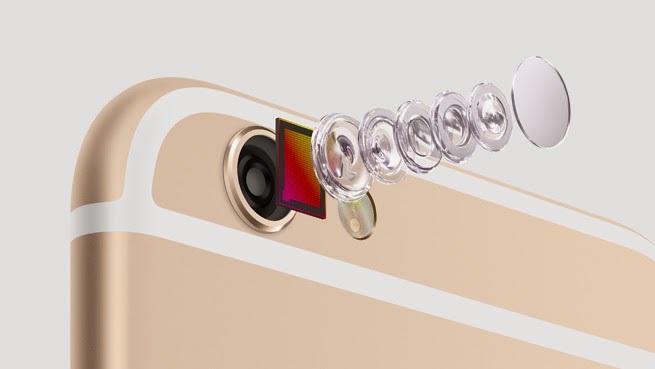 Like previous meodels iphone 6 and 6plus also got an 8mp camera although some more features have been added. On other hand we have android devices which got 8mp as front camera and rear camera upto 20mp. Although image quality is graeta in iphone but if you still want android camera like features then just go through the apps listed below. These apps will add many additional features to increase iphone’s picture quality. Best part is no external back cver with hugelens is required these amazing apps will automatically add exceptional features to your Iphone camera. To check how amazing is your Iphone’s camera is official link to app store is given below. You can check it out any time. Camera awesome: Personally I like this app very much. Best part is this app is free in itunes for iphone and ipad. With camera awesome you can take professional photographs with many added effects and instant sharing buttons to social media website. With more than 2 milllion downloads in less than a week camera awesome is one of the most successful camera app for iphone. If you are looking for DSLR camera apps for your iphone or ipad this app is must for you. Camera+: As the name suggests + sign says it all. With many amazing features even DSLR users will be jealous. Considered as one of the best app by Wall Street Journal this app is priced about 3.5$ in itunes. As far its features are considered list is very long. Like it provides you various shooting modes and angles to click your image in different way and even same image in different looks. With 6x zoom and front flash option (I don’t know how it works) to take selfies with front camera in dark rooms. Biggest feature of Camera+ is level of crispness it add to your image is like a pro camera. All photograph lovers this app is must for you. 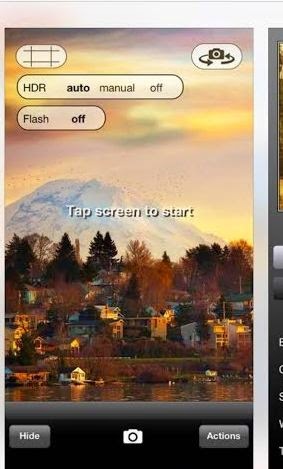 Pro HDR: High Dynamic Range photography is first choice for most photographers and this app is perfect to increase camera quality of your iphone. With this app your iphone’s camera take two images one which is exposed to shadows and exposed to light. Thses two images are then merged and produced one best image. This app is priced at 1.99$ in itunes. 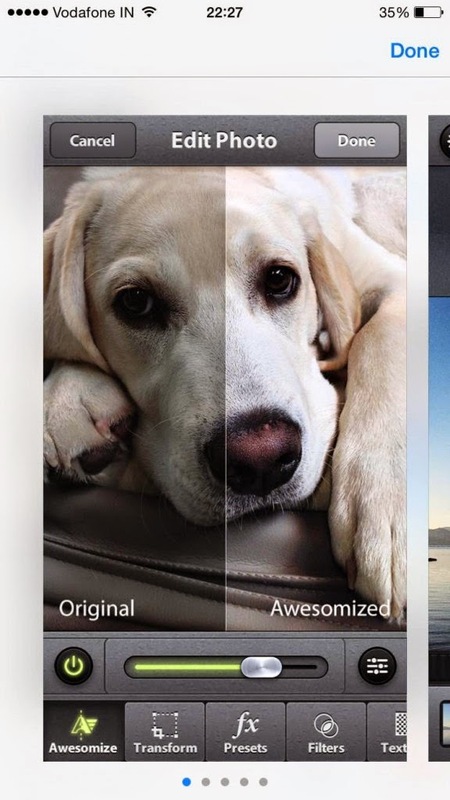 MagiCam: This app is also a good choice for photography lovers. If you capture most of your memories with your iphone camera and not a skilled photographer. Just install this app in your device. With its simple interface and not many confusing options beginners can use this app easily. This app will surely increase iphone’s picture quality. Camera360 Ultimate: This free app is used by more than 400 million users around the world. This is best DSLR camera apps for ios running iphone. With more than 1o amazing camera modes like selfie camera, amazing ccamera, photo ID camera, low light, burst mode camera etc. So don’t hesitate to take selfies or low light photos. Camera360 Ultimate is best choice to increase iphone’s camera quality. Hope you will love these apps. Some apps are paid but still they are worth each penny. So don’t think twice just fulfill your dream of photography. Do tell us about your experience with these apps and share more wonderful ideas with us.